Hey everyone! Today I wanted to share a very special film I recently recorded in collaboration with the amazing guys at Jubilee Project. Mothers from all backgrounds and walks of life breathe love and sacrifice into raising their children and sometimes we only see the parts visible to us: the breakfasts, hugs, phone calls, and forcing us to do homework and piano practice. It's easy to overlook all the moments when they were up before us, working hard, praying that we could live a better life than they did. Since Mother's Day is this coming Sunday, I wanted to present When I Grow Up to you and my own mother (I love you Omma!) where I play a young, struggling mother myself. Also, you won't regret watching Sydney Mae rap in this adorable behind-the-scenes! Thank you also to the amazing team at Jubilee Project for allowing me to join them in spreading more positivity in the world. 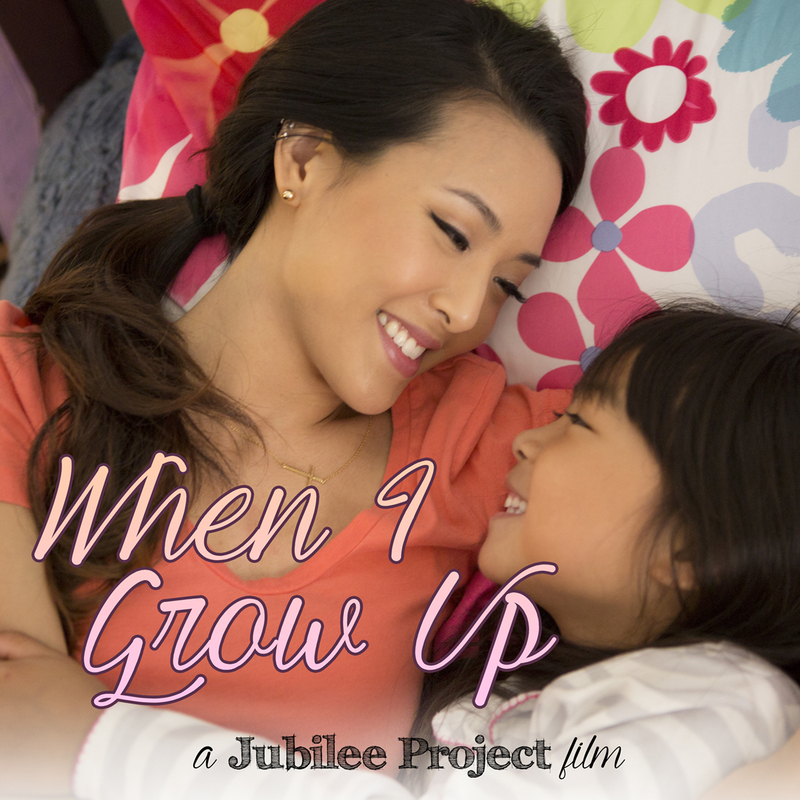 If you guys want to see some seriously outstanding short films that will make you laugh, cry, and feel all the feels like you wouldn't believe, subscribe to Jubilee Project on Youtube. Absolutely one of my favorite channels in my queue and definitely the one that has made me cry (in a good way) the most. They deserve millions of subscribers! So much love and respect for this people-loving, hard-working, and truly humble non-profit organization. Readers, what is one thing your mother did for you in the past that you are more thankful for now? Do you have any plans for this Mother's Day? Let me know in the comments! oooohh i need to watch this!! i get excited seeing you in acting roles Jen, you're a natural! aw, so sweet. Happy Mother's Day to every mother out there! Great post! Sounds really lovely. So pretty and sweet ! Jen, you're going to be a great mother! To be honest, I grew up with not good relationship with my Mother.. When I was young, I hated her for being so strict that Me and my siblings were not able to enjoy ourchildhood days for there are a lot of don't in her household rules.. I turned 18, got very rebellious, I left home to only find failure in life.. My mom and I got close when I already have kids.. I finally understand her.. She got very very sick.. I was busy being a mother of two tgat I wasnt able to visit her more..And now that she's gone, I realized how much she meant to me.. how I missed her so bad.. It's the first Mother's day that she won't be around.. I soo miss her soldings, her morning calls, her smile, her giggles.. I have just realized how great mom and wife she had been.. her sacrifices and sufferings.. how she held on for us.. it's too late to say sorry and I love her.. so you guys out there, don't take your mom for granted.. like what I did.. I am regetting it.. ;( to my mom and to allmommies, happy mother's day.. I called my mom and sent her a secret gift that day. Discover and buy all your fashion needs from AliExpress.